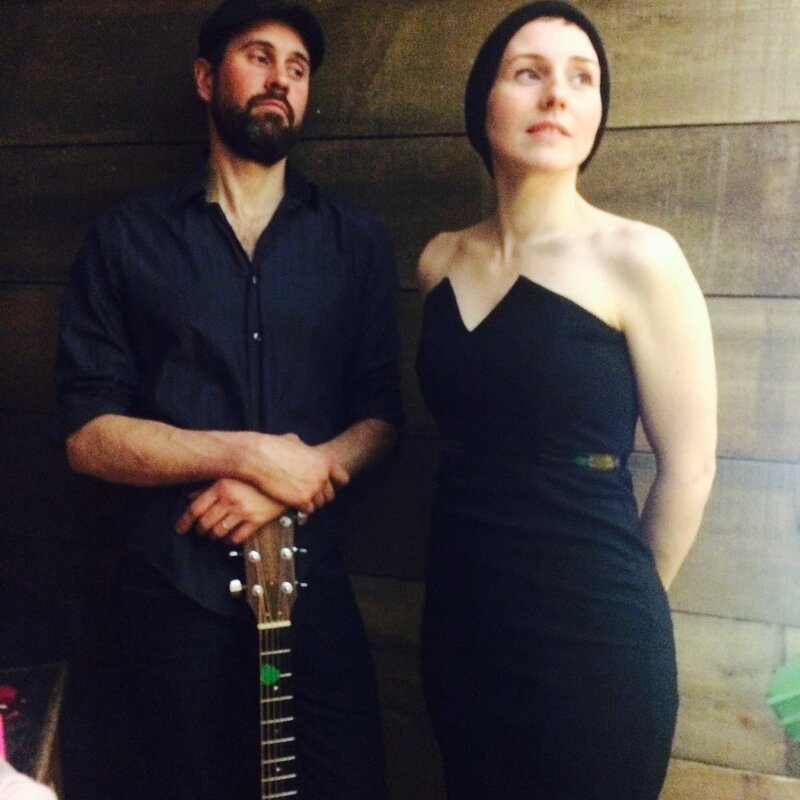 The Lewinskies are a husband and wife duo based on the South Shore of Nova Scotia. 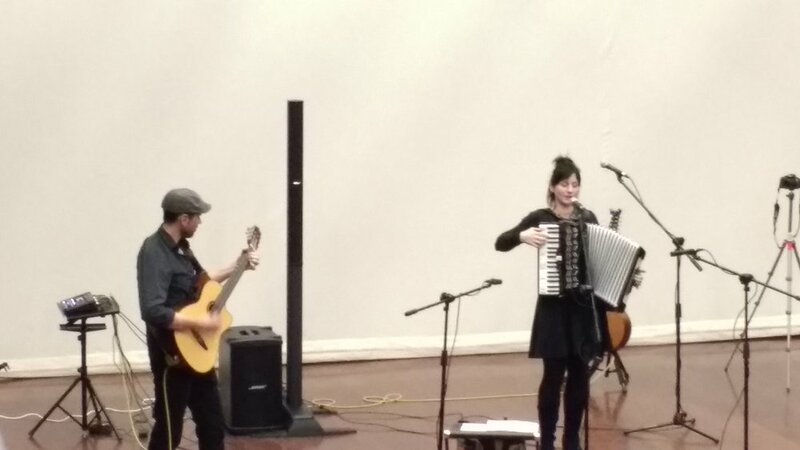 Kristen (Hatt) Lewis sings, plays the accordion and composes music. Matthew Lewis accompanies on the guitar. March 21st- Maritime Express Cider, Kentville- Nova Scotia. Fall Tour 2019- Ontario & Quebec 2019 with Alejandro Brittes (Brazil)!! Fall 2020- Brazil & Argentina with Alejandro Brittes. Would you like the Lewinskies to play music for you? This is our year to play for Canada!! Please contact thelewinskies@mail.com for bookings. 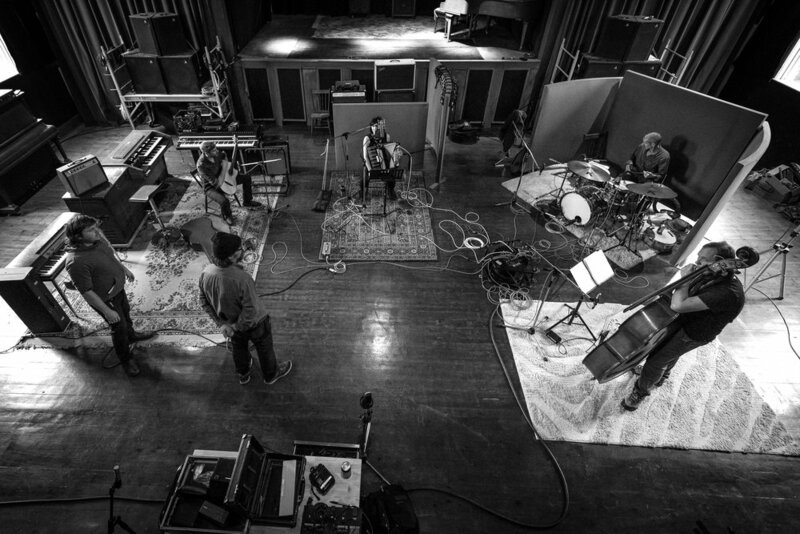 The Lewinskies released their first LIVE album 'Good For All' in the Fall 2016. 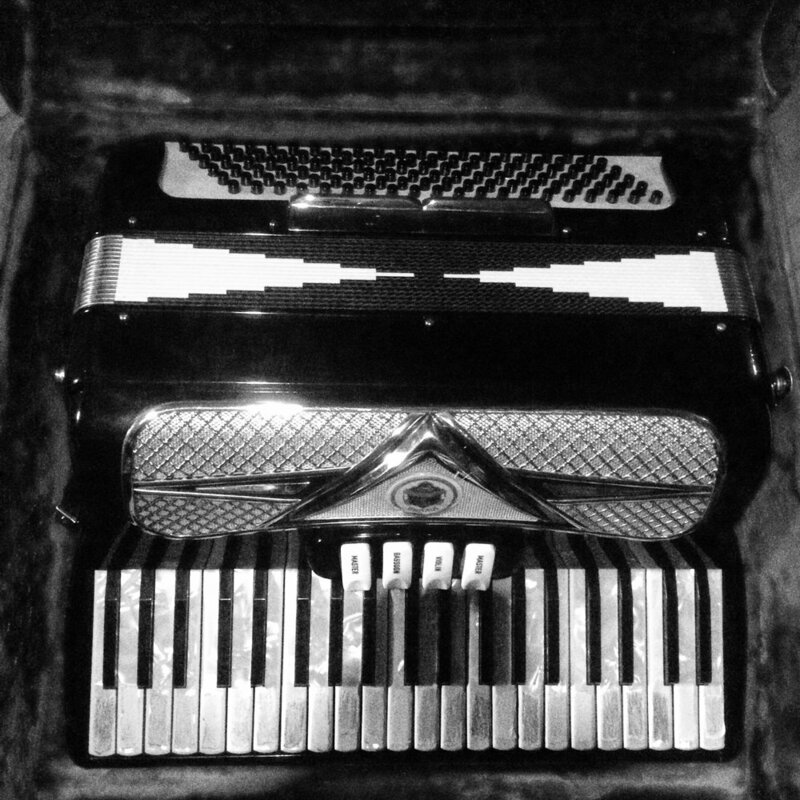 Recorded at The Echo Chamber in Halifax with Charles Wishart Austin. This debut recording features Phil Sedore on clarinet and Gabe Minnikin on back up vocals. The full length album is on iTunes, records and cds are available from the artists when you contact thelewinskies@mail.com . The Lewinskies returned from time spent in Manchester, England 2017 where they experienced recording with Ali Kareem, @HeyGamal, and toured with musicians from all over England including Matt Steady, Chique, Cathouse Blues Band and John Reed & the Folded Arms. They took part in a festival called Viva Musica at The Fuse in Manchester. This festival was educational and an interactive experience including art, experimental music and performance. The Lewinskies just recorded their second full length album on Nov 19 2017. They worked with Diego Medina at The Old Confidence Lodge & Producer Charles Austin from The Echo Chamber HFX. 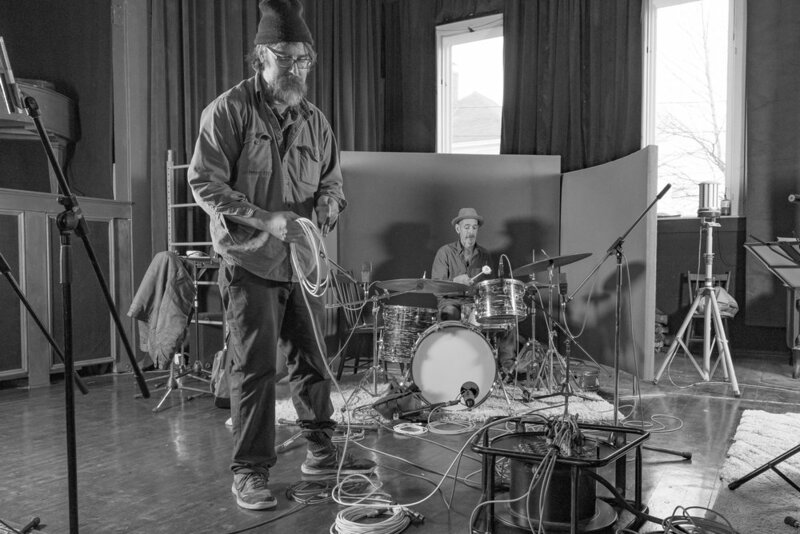 Their second recording was captured LIVE and features Geoff Arsenault on drums and Tom Easley on stand up bass. Other Nova Scotian & British musicians adding tracks to the recording such as Matt Steady on violin (UK), Phil Sedore on clarinet (NS), Betty Belmore on vocals (NS), Emma Perry & Kate Ferris on vocals (UK), John Reed with spoken word (UK). The Lewinskies have wrapped up the last details of recording and have released their new music in England! Great times with musical friends in England. The Lewisnkies recorded with John Reed & @HeyGamal. The Lewinskies have toured again in Northern England 2018 with friends Matt Steady on violin and John Reed & The Folded Arms, Sam Jefferson and Duncan Reed! 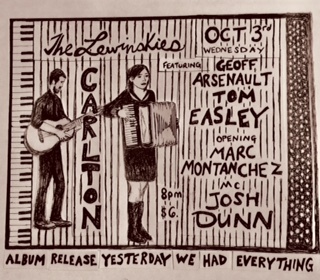 The Lewinskies are excited to announce the celebration for their new recording 'Yesterday We Had Everything' on October 3rd at The Carlton in Halifax, Nova Scotia. 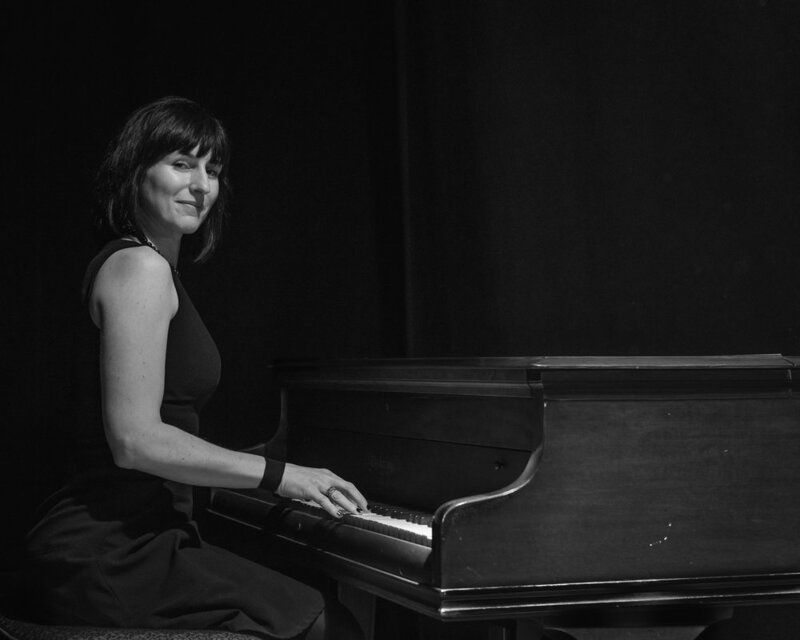 They will welcome featured artists Geoff Arsenault on drums and Ron J Hynes on bass. Opening music from Marc Montanchez will warm hearts. Mc for the evening will be poet and comedian Josh Dunn. Words will begin at 8pm. Cover $6. The Old Confidence Lodge with Diego Medina. Matthew Lewis- Photo by Frank Roper. Lewinskies at Todmorden. Photo by Frank Roper. 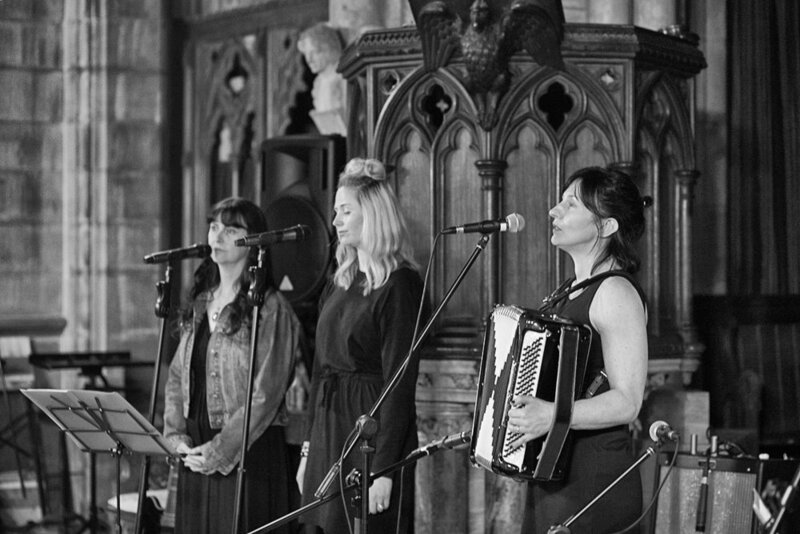 Kristen (Hatt) Lewis with Kate Ferris (far left) & Emma Perry at Todmorden Unitarian Church, Todmorden-England. Photo by Frank Roper. John Reed on cittern. Matt Steady on violin. 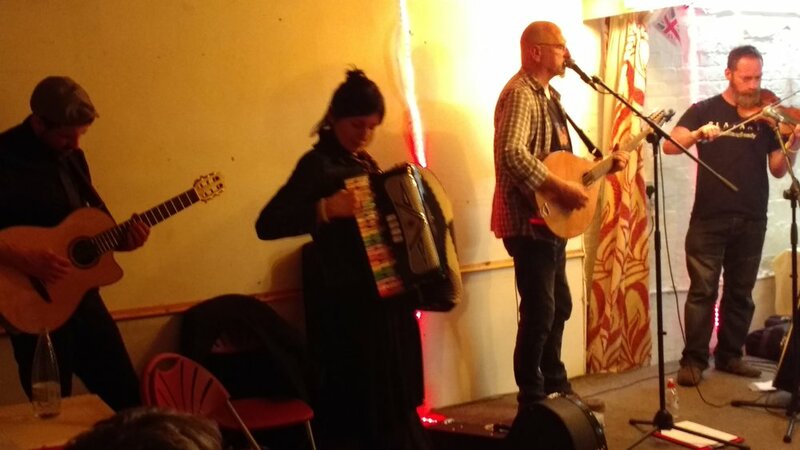 Kristen on accordion and Matthew on guitar at The Coach House Penwortham LIVE- England. 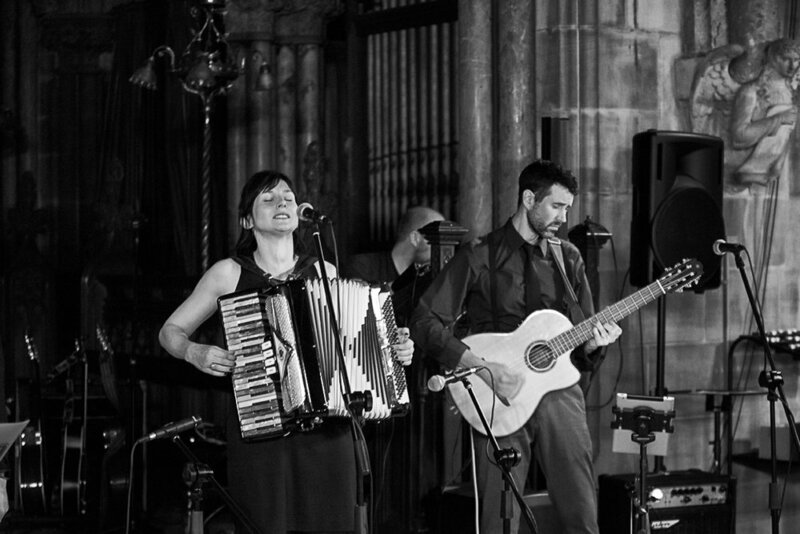 Music with John Reed (cittern), Matt Steady (violin), Matthew Lewis (guitar) & Kristen (Hatt) Lewis (accordion). Coach House, Penwortham LIVE - England. The Fuse, Manchester- Film Night. Showing the Canadian Film ‘The Secret Path’. Photo by Gary Whiteside. 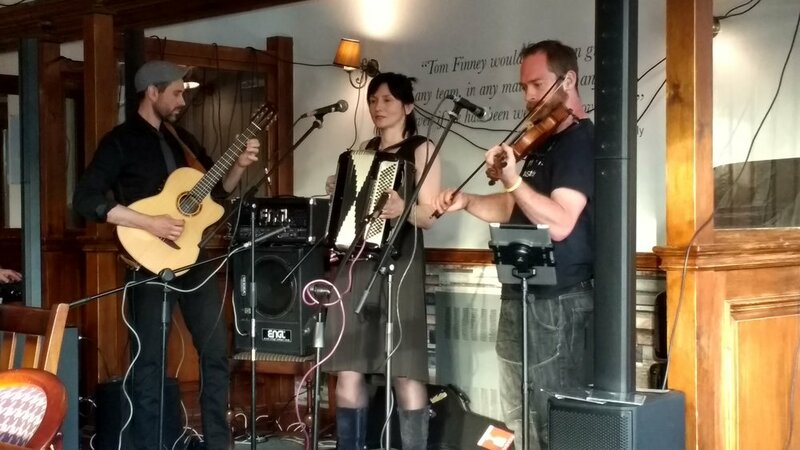 Penwortham LIVE 2018 with Matt Steady joining The Lewinskies with violin. Newly Released this fall! Full album available now through this website (physical cd) and digitally through iTunes!